Create the Greenest Lawn on the Block!! Fall is the most beneficial time to aerate your lawn! Aeration benefits your lawn in several ways. First, it allows oxygen, water, and nutrients to penetrate further into the soil, encouraging deeper root growth. Second, it reduces soil compaction. 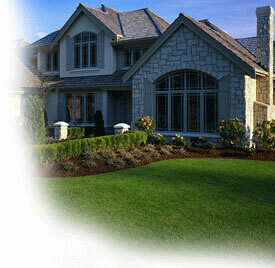 Both of these effects will contribute to a healthier and more vigorous lawn. A power aerator is the fastest and most efficient way to aerate your lawn. Slightly overlap each pass until the entire lawn has been aerated. Another quick, and easy, way to aerate your lawn is to use, Garden.com recommended, Lawn Aeration Shoes. All you have to do is walk across your lawn. There's no heavy machinery to pull! After you finish aerating your lawn, any cores left lying on the grass should be removed. The most effective way to do this is with old fashioned hard work, and a rake. Another idea is to drag a piece of chain-link fencing around your lawn behind a mower, or by hand. The fencing will break up the cores into very small pieces. Another approach is to simply set the blade on your mower a little lower than normal, then mow over the cores. A third option, which works great for large areas, is the Lawn Vacuum. Immediately seed and fertilize your lawn. (Don't miss out on our applicators!) Cover any bare spots with your favorite "compost" and re-seed. Thoroughly water your lawn for seven days! Continue to water your lawn until temperature are consistently below 40 degrees . Sit back and wait for Spring and the Greenest Lawn on the block!